This has to be one of the simplest recipes on my blog in that it requires no cooking and no wait/setting time. Taking into account the slicing of the vegetables, it's practically an instant lunch that is so easy to pre-prepare and grab and go for a summery spin to mix up your lunch box. 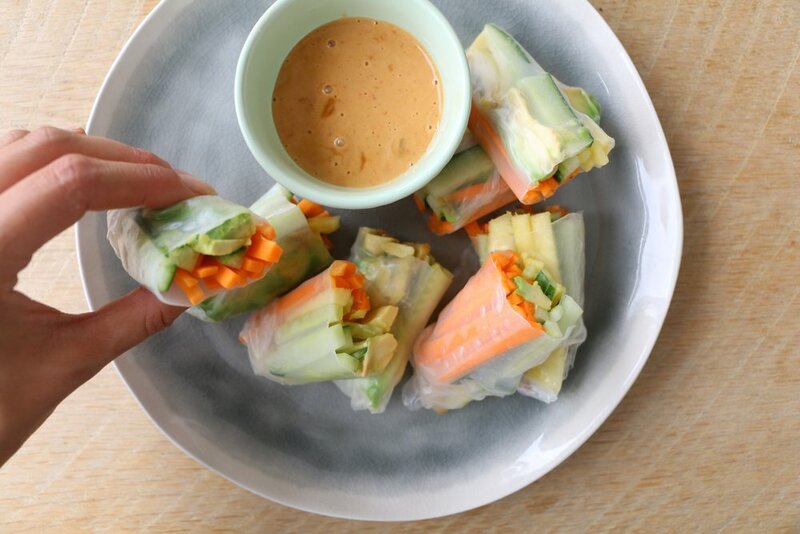 If you're a fan of summer rolls and vietnamese cuisine, then you must try making them yourself -- they're light, perfectly refreshing and the peanut sauce really makes the whole dish. If you're looking for a simple, affordable, savoury lunch or even snack then this is definitely a recipe for you - it's a recipe that won't break the bank and tastes so, so good. For best results, follow the instructions according to your rice wrapper packet but, most likely, you'll need to soak each wrapper in warm, not boiling water until slightly softened. It takes only a few seconds and the wrapper will continue to soften after it's taken out so it's best not to overdo it. If you leave it in the water for too long it will become too soft to work with. Lay your wrapper down and place your filling strips roughly an inch from the top of the wrapper. Make sure to avoid over filling it or placing your filling too close to the edge, else your wrapper could break/overspill! When all of your filling is in place, start from the top of the wrapper and roll it loosely over the filling while pushing in any excess at the sides to seal it shut. 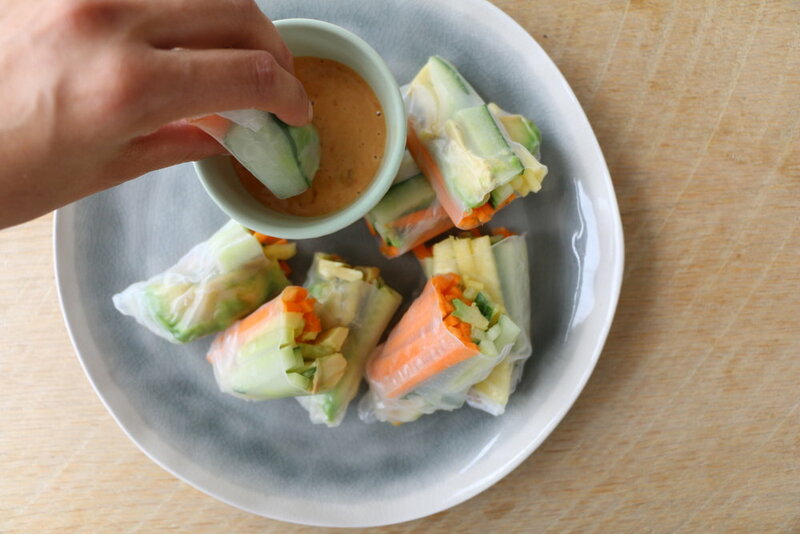 Repeat for each of the rolls, then cut in half with a sharp knife. For the sauce, just mix all the ingredients in a small bowl ready to serve.